British broadcasting stalwart ITV has reportedly contacted Apple in an effort to protect its name from use in the company's heavily rumoured Apple iTV television sets. 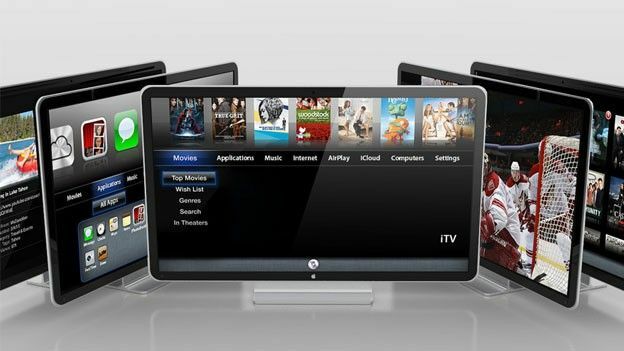 Communicating via letter, ITV has reportedly warned Apple off the use of the moniker 'iTV' for its future television based plans, with a naming convention following the arrival of the iPod, iPhone and iPad sure to land the Cupertino based tech giant in hot legal waters. Having previously been assured that Apple would not use the iTV branding for any future television based projects, the UK broadcaster has re-established contact with the Mac maker as rumours run rife about an upcoming Apple iTV release. Long a thing of speculation, Apple iTV rumours kicked into overdrive in recent months following the publication of the official Steve Jobs biography in which the Apple co-founder and former CEO said he had “finally cracked” how to change the television market. "I'd like to create an integrated television set that is completely easy to use,” Jobs reportedly said. “It would be seamlessly synced with all of your devices and with iCloud. It will have the simplest user interface you could imagine. I finally cracked it." Further Apple iTV rumours have suggested Apple will offer a variety of screen size options when it launches its first own branded television sets later this year. With 37 and 42-inch Apple iTV models reportedly in the works, some rumours have suggested Apple's Design Chief Jonathan Ive is currently putting the finishing touches to a 50-inch set. Does all the talk of an Apple branded television set have you excited or are you happy with your current internet-connected TV? Let us know via the T3 Twitter and Facebook feeds.